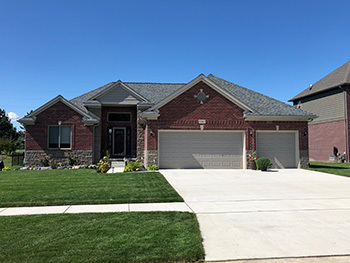 Our beautifully-crafted new construction homes are ready to be occupied and located in Macomb County’s best neighborhoods! Why deal with the hassles of fixing up and restoring a broken-in home when you can move into a brand new home? Forget the hassles of restoring, renovating, or refinishing – all on top of moving in and dealing with your day-to-day responsibilities. With MGM Construction Co., you can be confident that your home is not only built with the attention-to-detail it deserves, but that we’re just a phone call away when you need assistance. Our selection of meticulously constructed homes boasts top-of-the-line amenities and premium finishes, such as hardwood floors, natural stone countertops, dual-sink vanities, and much more. Browse our current selection to find your perfect home and contact us today to schedule a tour!